Earlier in the week, those crazy cats at the Ordnance Survey office released the whole of the United Kingdom (sans Northern Ireland and some other bits) as a giant, 3.6GB Minecraft map. Here’s our news story about that. That’s 22 billion blocks covering 220,000 square kilometres, generated from OS map data and released for free for players to explore and investigate. But when you’ve been handed the keys to a pixelated version of our noble island, where do you go first, and how do you get there? 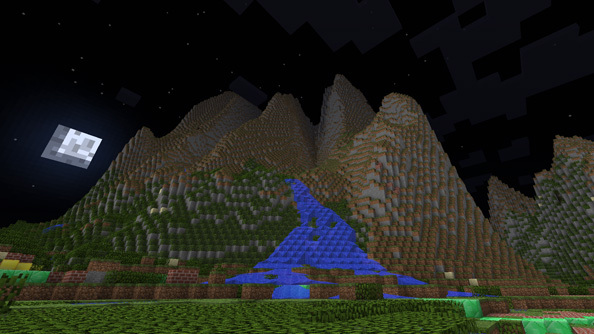 Do not worry, come aboard my virtual Megabus and I will take you on a tour of Minecraft Britain. Starting with Hull. 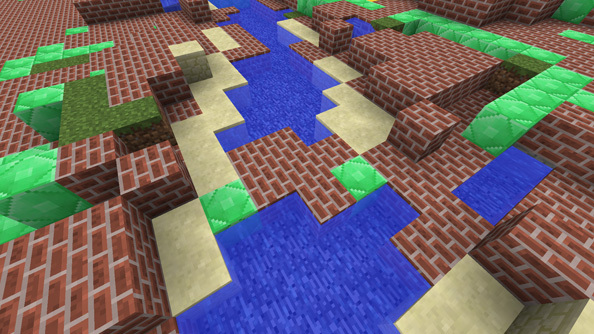 A featureless expanse of soulless brickwork seemingly devoid of life, with nothing to do but punch trees and hastily construct a shelter before night falls and you are attacked by the unsightly horrors that thrive in the darkness, Hull is the perfect place to visit in Minecraft. And yes, I wrote this article just so I could make that joke. Job done, let’s go home. 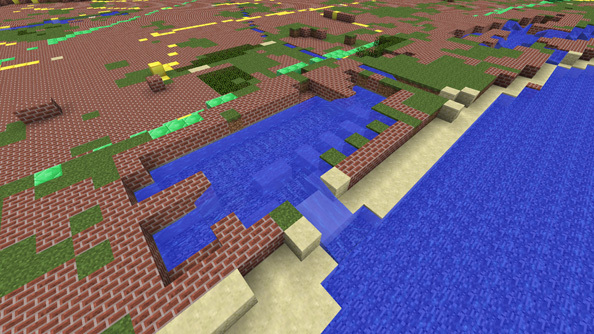 If you’re from Hull, you’re probably wondering if the resolution of the map is such that the engineering wonder of the Alexandra Dock has made its way to the Ordnance Survey’s digitised Minecraft remake. Well I can assure you that it has, and here it is. You can even see part of it flowing out into the Humber estuary. Is that how docks are supposed to work? I’m not sure. 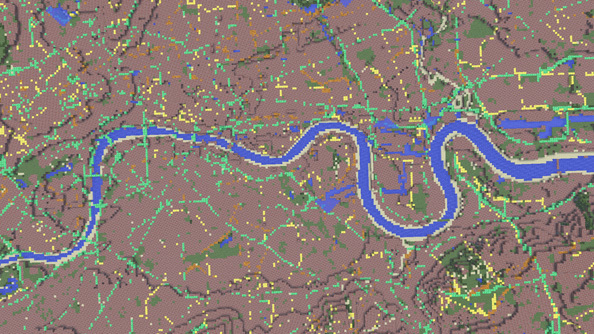 Metropolitan and other built-up areas are represented in Minecraft by brick blocks, meaning London is the largest expanse of brick blocks on the map. Nothing looks quite like you’d imagine it to when you’re standing at ground level however, so to get a better idea of the accuracy of the Ordnance Survey’s recreation of the UK it’s best to float high above it. From here the perspective is akin to the beginning of Eastenders. It’s like Dot Cotton turned on /noclip and reversed into the sky. Here’s the iconic Tower Bridge, a century-old symbol of the city in which it resides and a popular attraction drawing millions of tourists every year. Simply marvellous. 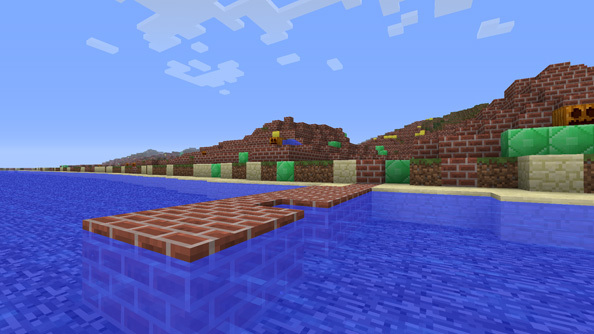 You can visit Brighton’s world famous pier in one one thousandth of its glory here in Minecraft Britain. Opened in 1899 and measuring 1,719 feet in length, it’s represented here using precisely 15 bricks jutting out into a one brick deep English Channel. Some aliasing in the interpretation of the map data seems to have taken a chunk out of the pier’s east side however, around about where Time Crisis 2 is kept. 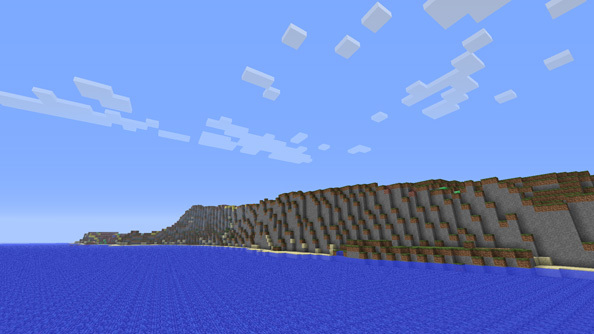 The tallest mountain in the British Isles demonstrates how the vertical scale in Minecraft Britain has been exaggerated, though this wasn’t done to enhance hills but to ensure that coastal regions are raised enough to avoid being swamped by the surrounding oceans. Either way, this bump is huge, even when you consider that it’s been clipped by the engine’s 256 block height limit. 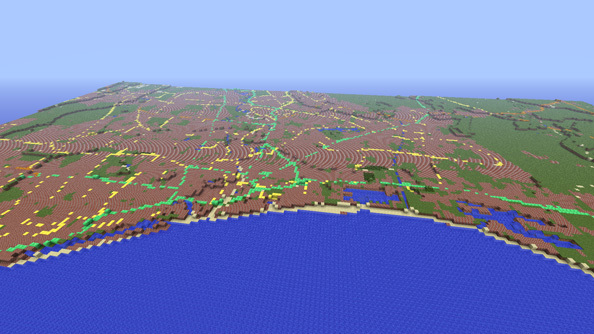 A rare instance of the Minecraft version of the UK actually being more impressive than reality. That’s right, Ben Nevis ain’t all that and I for one am not afraid to say it like it is. Sure, they’re grey rather than white, but by now you should be thankful that they’re not two feet tall and represented by a stack of a pumpkin blocks. Points go to the Ordnance Survey people for this one. I’ve been to Cardiff and I can’t say I remember Penarth looming over it that much. Calm it down Penarth, no need to be so uppity just because former sprint and hurdling athlete specialising in the 110 metres hurdles Colin Jackson is from you. The largest natural lake in England, Windermere cover 14.7 square kilometres and was formed by good old fashioned glacial erosion. Until very recently I thought it was a made up place, but it turns out I just had it confused with Lady Guinevere. It’s definitely a real place, as evidenced by its appearance in Minecraft and inclusion as my final tourist destination in my Minecraft Britain tour. You may now carefully exit the virtual Megabus, making sure to take all personal belongings with you.